Stoppers and all of our clients choose us over our competitors? importantly our dead serious 3) on time delivery. Custom Lanyards are a great way to draw attention to anything from a school event and a charity fundraiser to a family reunion and a child’s birthday party. We take our custom lanyards seriously, offering our products for the most affordable rates and we make them to the very highest standard so that you are getting a product that is made to last. Our lanyards are proven to be popular both because we make them to an exceptional standard, and because we give our customers the opportunity to fully customise their orders. You shouldn’t have to pay an arm and a leg to get the best product on the market. That is why we make sure that our products are made using the best possible materials whilst still remaining affordable. Not only are our prices low, but we also further increase your ability to enjoy great savings with us by offering free shipping on all deliveries within Australia. And, if you can find someone that will beat our prices we will match their offer and even give you an additional 5% off your order! Ordering personalised lanyards involves a lot of decision making, and sometimes you may need to get a little bit of help from a professional. Fortunately, contacting customer service is never an issue with us. Making your order of personalized lanyards will be easy thanks to our dedicated staff of customer service representatives. You can reach us by phone at 03 9558 8007 or by email at [email protected] and we’d be happy to help you in any way that we can. In addition to being able to choose from six connector types and sixteen connections, you will also have the ability to choose your own personalized colours and text options. 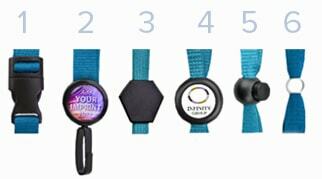 So whether you are hosting an event, trying to raise awareness for a fundraiser, or you just want to make a really cool, personalised gift for your group of friends, having the ability to enjoy full control over your design is going to help ensure that you get the perfect lanyard(s) for your needs. It is for all of these reasons that our custom lanyards and other products are a staple for many events and businesses all around Australia. Our commitment to quality, customer service, and on time delivery are what distinguish us from our competition and ensure that you get the very best customized lanyard possible. There is no reason to settle for less than the very best so place your order with us today and enjoy great savings on high-quality lanyards! For most of us, company lanyards are very much an unchanging part of our day to day lives. Whether we work in schools, offices, in the field, on the road or anywhere else, we’re almost always expected to be wearing a custom lanyard carrying our personal identification cards, as well as perhaps our keys, access passes and USB memory drives. But for small businesses, it sometimes seems unnecessary to invest in personalised lanyards. After all, there are plenty of generic options available on the market which often seem to be easier and more affordable to buy. But whilst many small business owners therefore choose not to bother purchasing custom lanyards for their staff, there are in fact many benefits which come with doing so. For one thing, having branded company lanyards is always a symbol of professionalism. 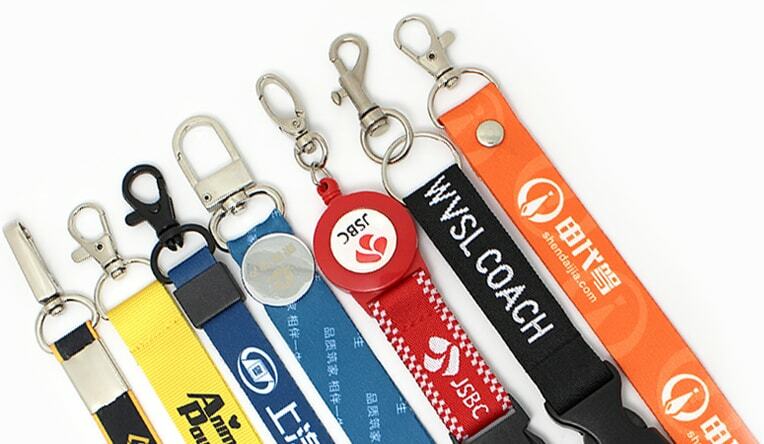 If you want everyone who visits your premises or comes into contact with a member of your team to be struck by the professional nature of your business, ensuring that your staff have branded lanyards to wear is always a reliable way to do so. Furthermore, custom company lanyards are a powerful means of raising awareness of your business in your local community. As you and your team travel to and from your work premises, those people whom you come across will be sure to notice your company name, logo and tagline – meaning that more people will know who you are, and you’ll be more than likely to experience an increase in the number of people searching for you online, contacting you by phone or coming into your premises in person. At Wristband Monkey, we’re extremely proud to have built a strong reputation for excellence in the wristband and lanyard industry, working with many large, national companies, state governments and small businesses alike. Our products are not only made with only the very finest quality materials, but our team of highly trained and experienced experts are all committed to providing the most personalised, bespoke service possible. 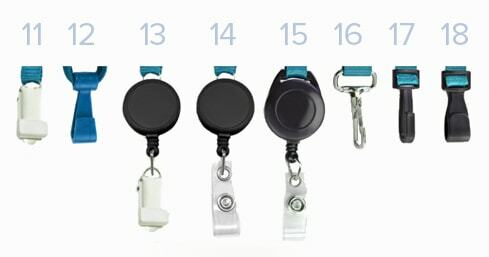 When you choose us as your lanyard provider, you’ll be able to select from a wide array of different colours and styles. Then, you’ll be given the opportunity to let us know about any specific preferences and requirements you may have, and to send us your company logo and any other marketing or advertising materials you’d like to be included. Once you’ve confirmed that you’re happy with the proposed design and you’re ready for us to start the manufacturing process, we’ll have the team at our factory in Sri Lanka get to work on producing your new lanyards to the highest possible standards. Once we’ve received them, we’ll ship them to you – regardless of where you are in Australia – absolutely free. Thanks to the fact that the product you receive will have been carefully designed and manufactured with your particular preferences in mind, you can be completely confident that it will be an attractive, effective and professional addition to your staff’s uniform. 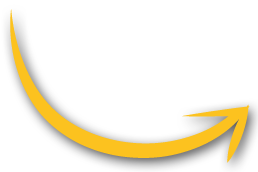 Wristband Monkey is Australia’s best wristband supplier. We specialise in custom printed wristbands with a message, coloured wristbands, VIP Lanyards, Festival Wristbands, slap bands, security wristbands, event wristbands & more. Order yours today!